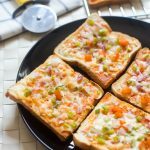 Bread Pizza Recipe – After my Cheese Chilli Toast, my kids started asking me some varieties in Bread Recipes. 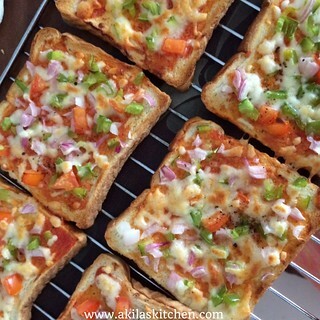 So tried this Simple Bread Pizza and my kids loved the taste and asked me to do one more time in the night also 😊. It is very simple and tastes great with simple ingredients at home. But you know, I tried only 6 pieces and I didn’t even get a single bite 😏. My kids were standing near the oven and they were now and then checking whether it got cooked 😜. Somehow I managed to click the pictures in a hurry. So let’s go to the Bread Pizza Recipe now. You can also check on the other Bread toast recipes in my blog. 1. Keep the ingredients ready. Take the bread slices and spray little oil. 2. Add the tomato sauce and spread it over the bread. Immediately spread the veggies and also add the cheese. Sprinkle some Italian herbs. 3. Preheat the oven to 170 degrees Celcious and toast the bread till the aides become slight brown colour. 4. Serve them hot with tomato sauce. 1. Any bread can be used for this. But milk bread tastes better. 2. Other veggies like corn, chopped broccoli can also be added. 3. I used mozzarella cheese. You can use cheddar cheese also. 4. I sprinkled little pepper before serving. 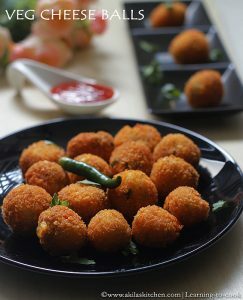 You can serve with chilli flakes and Parmesan cheese also. 5. Do not keep the bread too long after applying tomato sauce as it may become soggy. If you have pizza sauce you can use that also. 6. 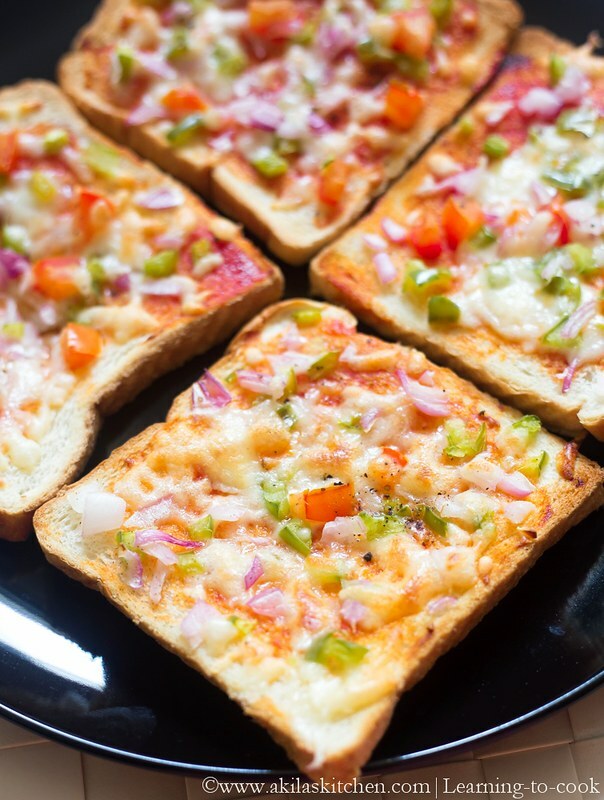 Adding Italian herbs gives authentic taste for the bread pizza. But it’s purely optional. Keep the ingredients ready. Take the bread slices and spray little oil. Add the tomato sauce and spread it over the bread. Immediately spread the veggies and also add the cheese. Sprinkle some Italian herbs. Preheat the oven to 170 degrees Celcious and toast the bread till the aides become slight brown colour. Serve them hot with tomato sauce. Any bread can be used for this. But milk bread tastes better. 6. 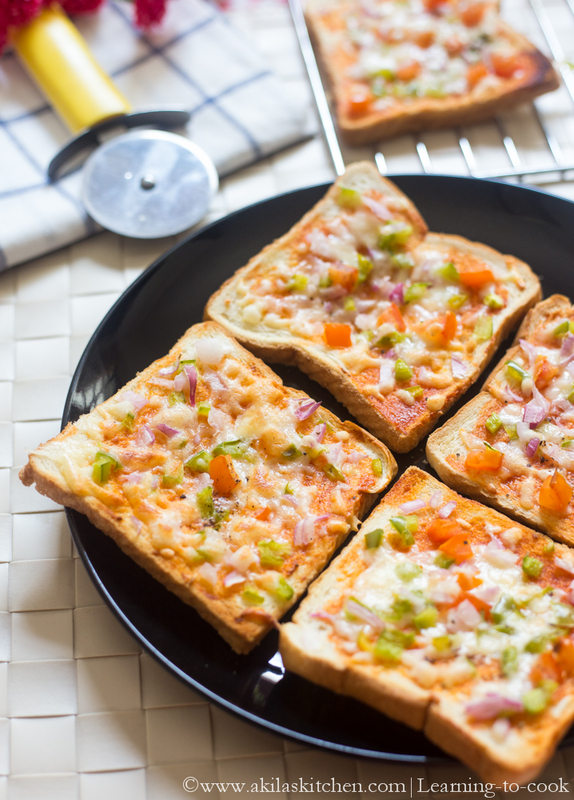 Adding Italian herbs gives authentic taste for the bread pizza. But it's purely optional. 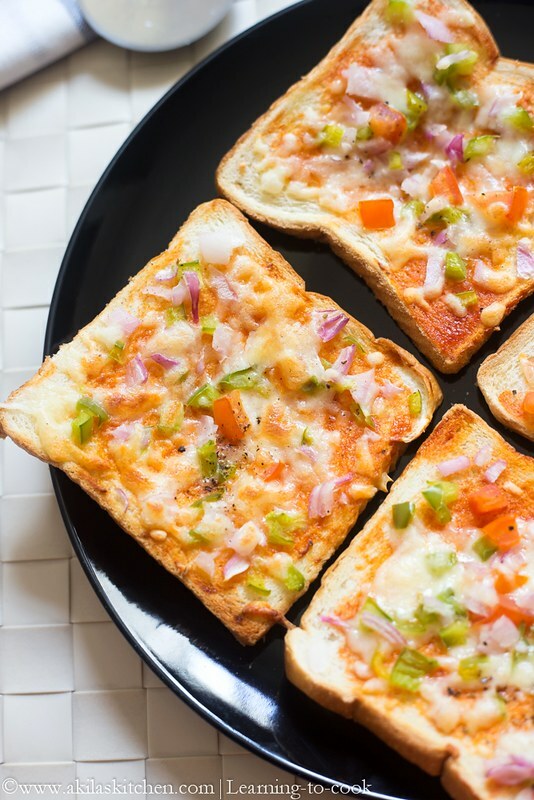 Try this Bread Pizza and let me know how it turned to you. @Nammi, thank you dear.. happy that it came good for you.. Kids will like pizza like anything.Yeah !! Pizaa looks so delicious. Would pizza sauce be better than plain tomato sauce or ketchup?